Pima Schools believes it is the right of every student to be educated in a positive, safe, caring, and respectful learning environment. We further believe that a school environment inclusive of these traits maximizes student achievement, fosters student personal growth, and helps students build a sense of community that promotes positive participation as members of society. Pima schools in partnership with parents, guardians, and students, strives to establish and maintain a school environment based on these beliefs. The district works to identify and implement age-appropriate programs designed to instill in students the values of positive interpersonal relationships, mutual respect, and appropriate conflict resolution. It is the responsibility of the school to recognize and identify situations where students are being the victims of bullying, but our best source of information is reporting by students and parents. 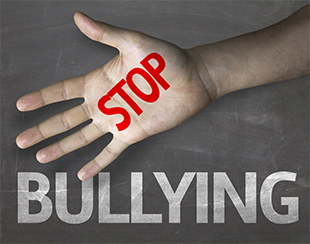 In addition to reports by victims, other students or parents who feel that bullying is taking place are asked to report specific circumstances that they believe constitute bullying, to the school staff. Any such reports must be thoroughly investigated and addressed by the school. Where the schools investigation determines that an incidence of bullying constitutes a violation of school rules, school discipline will be administered, and the parents of the victim have a right to knowledge of the disposition of the matter. In cases where it is determined that the law has been broken, district policy requires that law enforcement authorities be informed of the evidence supporting this conclusion. Our goal is to help students understand why bullying is not appropriate. Grade-level-appropriate programs aimed at this objective are implemented often. We also hope that students will develop the self-confidence to recognize that no matter what anybody says, they are valuable members of our school community and they have the potential to achieve great things. Improving student self-esteem is the most effective way to reduce the harmful impact that student misconduct in the area of meanness and bullying can inflict upon students. If you have questions or concerns, please contact your child’s principal or the district office. We are committed to the positive experience of our students.